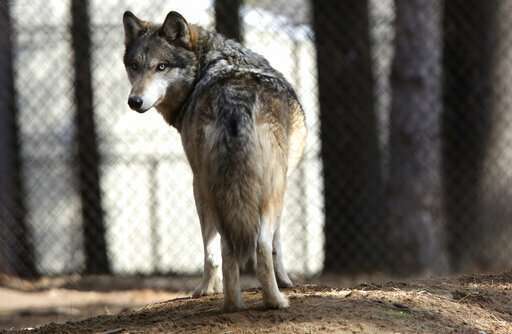 The proposal would give states the authority to hold wolf hunting and trapping seasons. It was announced Wednesday by acting Interior Secretary David Bernhardt at a wildlife conference in Denver. Jamie Rappaport Clark, a former director of the U.S. Fish and Wildlife Service now with the group Defenders of Wildlife, warned of an "all-out war on wolves" if the plan advances. "We don't have any confidence that wolves will be managed like other wildlife," she said. "Recovery of the gray wolf under the Endangered Species Act is one of our nation's great conservation successes, with the wolf joining other cherished species, such as the bald eagle, that have been brought back from the brink," U.S. Fish and Wildlife Service spokesman Gavin Shire said in an emailed statement. Agriculture groups and lawmakers from Western states are likely to support the administration's proposal. Protections for the Northern Rockies population were lifted in 2011. 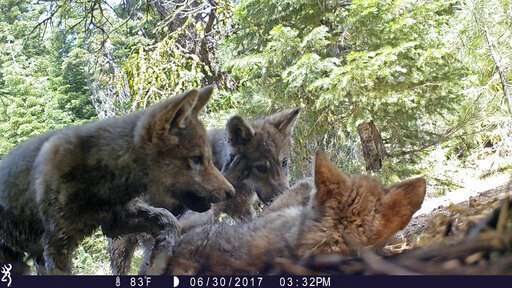 State officials and government biologists say the region's wolves have continued to thrive despite pressure from hunting. The animals are prolific breeders and can adapt to a variety of habitats. Many people "still find it difficult to live with wolves," primarily because they kill livestock as well as deer and elk that people like to hunt, Vucetich said. If wolves are returned to state management, he said, "I do worry that some of the states could be overly aggressive and that wolves could fare worse than their current condition." The government first proposed revoking the wolf's protected status across the Lower 48 states in 2013. It backed off after federal courts struck down its plan for "delisting" the species in the western Great Lakes region states of Michigan, Minnesota and Wisconsin. Fish and Wildlife Service officials disclosed to the AP last year that another scientific review of the animal's status had been launched. Shire declined to disclose the agency's rationale for determining the species had recovered, but said members of the public would have a chance to comment before a final decision in coming months. Ryan Yates, director of congressional relations for the American Farm Bureau Federation, applauded the federal agency's plan and said many farmers and ranchers have lost livestock to wolf kills since the species was granted legal protections. The farmers and ranchers will respect state regulations aimed at managing wolf populations, he said. "Some people like them, some people don't, but the law's the law," Yates said.